Pull 'em on! Zip 'em up! Let the battle begin! 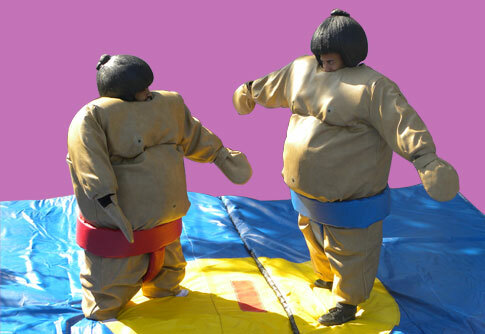 Sumo Suit Wrestling is as much fun for the spectators as the combatants. Note: Ages 18 and up only.